It’s been less than a week since the latest Freedom Foundation mailers hit the doorsteps of Oregon’s public employees, and already dozens have chosen to opt out of union membership as a result. 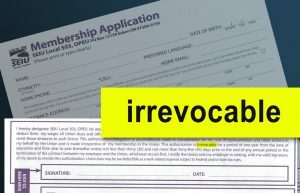 The mailers, which were sent to public employees represented by SEIU and AFSCME, exposed the deceptive nature of the unions’ new-but-not-so-improved membership applications – each of which contains fine print designed to lock employees into paying dues indefinitely. 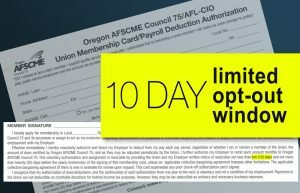 AFSCME’s application imposes nearly identical restrictions – again in the fine print – that only allow public employees to cancel their dues payments during a 10-day window each year. Each union has made a point in recent years – and especially in recent months – to get employees to sign or “recommit” to the union by signing one of these cards. Trouble is, employees don’t always know what they’re signing. And the simple fact that SEIU and AFSCME have hidden such deceptive measures in the fine print reveals an even more damning fact – they’re not supposed to. But at least the reason is crystal clear. The latest dues-trap efforts by SEIU and AFSCME come just before the U.S. Supreme Court is set to decide Janus v. AFSCME, a case that could allow public employees to finally choose for themselves whether to pay union dues or fees. Simply put, the unions’ “Hotel California” scheme is designed as a way for them to get around the expected Janus ruling. It’s not the first time the unions have resorted to this scheme. 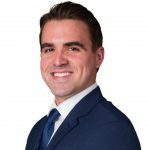 The Freedom Foundation is currently suing SEIU on behalf of hundreds of state-paid caregivers who were subjected to the same irrevocable dues arrangement following the U.S. Supreme Court’s 2014 decision in Harris v. Quinn. Apparently, the leaders of SEIU and AFSCME can’t face the likelihood that many public employees, when finally given the choice, might object to financially supporting the union. Perhaps those employees have good reasons for not doing so. But if you’re SEIU or AFCSME, who cares? Just lock them into paying dues … and problem solved. Fortunately, public employees in Oregon have been tipped off to the union dues-trap scheme. The Freedom Foundation’s recent mailer was sent to thousands of employees, alerting them to the “irrevocable” fine print on the unions’ membership applications and informing them how to protect their paychecks from unwanted union deductions. In the week since, dozens of public employees and counting have responded to the “Decline to Sign” message and chosen to take the extra step of opting out of their union. Considering the underhanded attempts SEIU and AFSCME have taken to trap them into paying dues, who can blame them. Public employees in Oregon can learn more about their union membership rights here.